Do you find it difficult to stay positive when you’re surrounded by negativity? If you’re living in the midst of a situation that’s negative it’s very hard to stay upbeat and positive all the time. And whether it’s in your home, workplace or within a social group it’s going to affect you. The way to rise above the negativity is to become conscious that you have a choice in how you react. The moment you become aware that you don’t have to react to negativity your mind has expanded. When I first began my journey with personal development and found out that I didn’t have to think the thoughts that just “popped” into my head but could CHOOSE my thoughts, it blew my mind! Wow! You could almost hear the “screech marks” as the wild negative and sabotaging thoughts came to a halt in my mind that very instant. “You mean I can decide what I’m going to think about,” I thought? This was a revelation. And, I won’t sugar coat it….it is hard. You have to want it – bad. You have to desire to change more than you desire to stay stuck where you are in the negativity of whatever the situation is. You also have to be disciplined and commit to doing it and be consistent about doing it. 1. To shield yourself from absorbing negativity focus on the things you’re grateful for in your life. To do that though, you must first “interrupt” the thoughts that have taken control of your mind. 2. To do this use what’s called a “pattern interrupt.” This is when you deliberately take an action to switch gears on your thinking. Using this is like applying the “brakes” to a runaway train. When you take control of the train you can direct it to go where you want to go. And this is exactly what you want to do with your thinking; take control of it. When you’re in control and direct it you consciously decide what you want in your life rather than being a victim of life and taking whatever comes along. 3. Pick a prayer you like or a mantra you know well. I like using either the “Lord’s Prayer,” or a mantra from “Ho’oponopono” which is, “I’m sorry. Forgive me. Thank you. I love you,” when I want to interrupt and halt a negative thought pattern that’s stampeding through my mind. 4. Once you take back control of your mind and calm down again you can think rationally about the situation and decide how to respond and what you’re going to do rather than react on autopilot. You can take an inventory and see how much good there really is in your life and focus on that instead. Remember what you focus on expands. As you make a habit out of interrupting the negative thought patterns you’ll also be breaking the “circuit” that has you automatically become upset. 5. Overriding the body’s stress response means you’re mastering your thoughts. You’re now fully conscious to the process that was hijacking your mind and can put a stop to it. That’s being a victor instead of a victim. If you use one of these steps you’ll get your mind off of the negativity and start to neutralize the negative emotions that are activating the stress response in your body eventually. I say eventually because without a technique to reset the nervous system’s ingrained response it’s going to take longer. When the stress response (fight or flight response) in your body is triggered you feel anxious, scared, overwhelmed, upset and fearful and you’re ready to react at a hair trigger. You’re body pumps cortisol into your bloodstream to prepare you for a “fight or flight” so you can protect yourself from danger. If this same “danger” (what you’re calling a negative environment/person) appears in your life again and again your “fight or flight” response will be set off at the mere sight or thought of this negativity. This powerful reaction becomes ingrained within your nervous system and hijacks your emotions and behavior unconsciously. When this happens you’ll have an uphill battle trying to maintain your positivity because it’s no longer just a “mental” challenge to change your thinking but a physically ingrained habit within your nervous system that you have to restore to “neutral.” The fastest way to reset the response from your nervous system is to use EFT (Emotional Freedom Techniques) or Tapping. Learn how to use the EFT Tapping Points here and watch a video for how to tap to maintain your positivity in the midst of negativity. Are you surrounded by a negative situation or people you can’t get away from? How are you dealing with it? P.S. 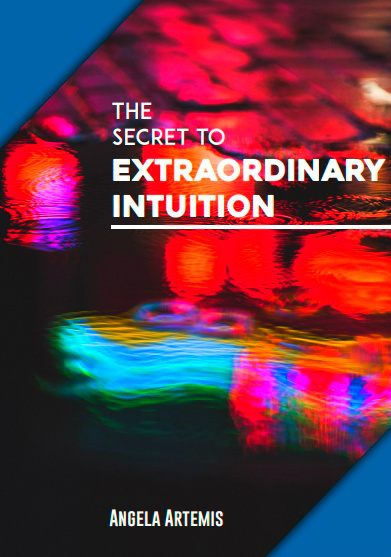 Learn how to use your intuition to successfully create a life you love: Click here. To be your authentic self means to be true to your own personality, spirit, or character. When you tune into your authenticity and let your true essence shine forth you access a tremendous source of power within that releases your true genius and creativity. Your confidence will soar as the right people and opportunities show up at at just the right time in your life to propel you forward on the right path you were meant to follow to achieve your goals. To connect to the authentic you and all the blessings and gifts you possess you must first start by developing your intuition. How to connect to your authenticity and power: Find time each day to gift yourself some quiet private moments to just “be.” Breathe and observe your thoughts, feelings and nudges. Be especially mindful of the “nudges” that repeat themselves day in and day out. These nudges come from your intuition, that wise part of you that “knows” and is trying desperately to communicate to you that you listen to it. 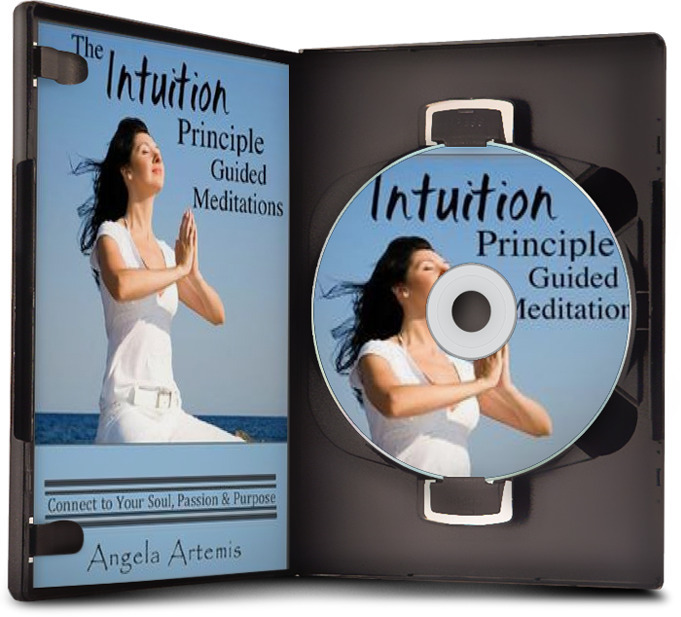 Listening each day like this you will find you become more attuned to these intuitive nudges which is the language of intuition. And as you learn to understand this language you will gain clarity around what you truly wish to do in this life and who you truly wish to become. This knowledge is your destiny – your purpose and knowing what you were meant to do and what path to follow is how you become your authentic self. When you are authentically you the spigot on your personal power opens full force. You know yourself. You are true to yourself and your values. You have an unshakeable connection to your purpose and your mission; what it is you’re here to accomplish. The knowing of your true self and living from this authenticity leads to having a clear vision of your mission and this is what leads to being tremendously self empowered. You are here for a purpose and you are here contribute to making the world a better place in some special way that only YOU can offer. Connecting to your authenticity and power and making a positive contribution doesn’t mean you have to be famous either. For example, being a great parent and molding and shaping the lives of future good citizens of the world to steward the earth is a huge mission and accomplishment yet, in most cases it doesn’t involve being famous. Whatever your purpose is you are meant to share your best and do it passionately, authentically as only you can do it with an understanding that everything you do affects the world around you and every single living person in it. No two snow flakes are alike and you too are one of a kind. To connect to your authenticity means that you have a special combination of personality traits, abilities, aptitudes, gifts and talents that no one else has in quite the same way. You are here to share this special combination which is your “blessing” with the world. When you hear the whispers of your intuition and connect to your authentic self you connect to the “source” within which is your true power that, fire in the belly that, gives you your own special brand of charisma and magnetism and the courage, determination and perseverance to hold fast to your vision and keep going on your mission no matter what. This is true power and what it means to be self empowered. Every person has this power inside and is capable of reaching their greatest potential and making a difference. It all starts with honoring those little nudges and listening. And for every person you see on the world stage that you call “great” it all began the same way which should give you enormous hope because if they can tap into their true power and do it so can you! If you think having a purpose and mission is for others but not for you yet you feel that deep down you yearn to be more and that there must be more to life don’t give up and bury your feelings again. All it takes to access your power and live up to your potential is building your confidence and overriding those fears and limiting belief patterns that are holding you back. Override the limiting beliefs by using either meditation, affirmations, journaling or tapping. If you feel stuck and overwhelmed by where to start work with a mentor to remove these roadblocks. 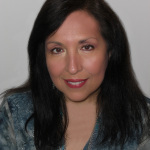 If you’d like to learn more about how mentoring can help you become more confident and empowered click here for an Intuition Breakthrough Session with me. Here are some quotes to inspire you to unearth your authentic self and empower you to reach the heights of your full potential. To your greatness! Do you feel comfortable and confident and empowered by being authentically you? Which of these quotes resonates with you? Share with us in the comments. If you enjoyed these quotes share them with a friend on Twitter, FB or Google+. Thank you! Do you know the steps to making your dream a reality in your life? Moving from a life you feel stuck and unhappy in to a life you love requires that you follow a system. You need a set of steps to shift your thinking from your old way of being to becoming a brand new person who can live this great dream you have inside. Recently I wrote about 9 ways to recognize that your life is stuck and maybe you are stuck too. Being stuck is nothing to be ashamed of. We aren’t taught how to take a dream and make it into a reality. Living a dream doesn’t have to be reserved for the lucky few. Just because you weren’t taught how to take a great dream and pull it down from the land of possibility where it lives in your imagination into reality doesn’t mean that a solution doesn’t exist. There is a system to making your dreams a reality. The steps are tried and true and repeatable. You just need this recipe. You already know that all the answers exist within. In fact, you have probably received the solution many times but you haven’t been receptive to it. Your intuition is always broadcasting to you. It’s the technology by which your Soul speaks to you. But when you’re stuck in a certain way of thinking your babbling monkey mind drowns out the whispers of your intuition and you don’t hear the solution that is being broadcast to you over and over. With your current inner programming you aren’t capable of seeing the solutions that are being broadcast to you. The answer is to change the way you are programmed and then you not only receive the answers but they appear as open doors for you to walk through in your life. Changing your inner programming allows a curtain in your mind to go up and let’s you see all the solutions you’ve been searching for right there before you. Until you upgrade your thinking you will not see past the curtain. 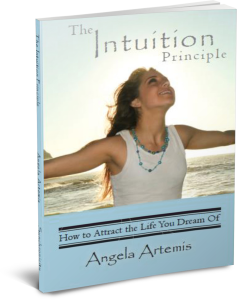 Learning to be receptive to the solutions being broadcast to you is exactly what I wrote about in, “The Intuition Principle: How to Attract the Life You Dream Of.” The book is a recipe, a step by step method, which if followed changes you from the inside out and removes the curtain. Doing that allows you to “pull” your dreams right into your reality. When I was stuck in a career that wasn’t me everyday I said a prayer, “Please God show me the way. Show me the path to free myself of this drudgery to live a life where I can truly express who I am meant to be.” I kept hoping the perfect job would appear. The thing was my intuition had been broadcasting the answer to me for a long time but I was not ready to be receptive to it. The answer was not getting a different job. It was to go back to school, reinvent myself and transform my life. I kept saying this prayer hoping that someone would offer me the perfect job. Whenever the thought crossed my mind about going back to school I glossed over it because it was too scary. How could I quit my job, I thought? How would I survive without a paycheck? I didn’t know there was an actual system for transformation to follow that would allow me rise above my fears and bring my dreams into reality so I stayed stuck. I was going about it all wrong and wasting years of my life until I discovered the method purely by accident. You know those few brave souls who’ve had the courage to jump from the edge of their old lives and lived to tell the tale of how making that leap brought their dreams into being? That was it! Until I said, “To hell with my fear,” and took this leap of faith nothing changed in my life. The solution to living your dream is to start with the end result in mind and make that leap of faith no matter how scared you are. Focusing on the “how” is your fear talking and is what keeps you stuck. Can you see how simple it is? Yet for many the breakthrough never occurs. So stop focusing on all the “yukky” details and to start feeding the “yay!” of your dream of instead! Once you make a decision and take action all the details will fall into place. 1. Get specific. Take out your journal and spend a morning writing out what your dream life looks like. Describe this life and everything in it so that if someone else read it they would be able to see it with crystal clarity too. Do not leave out any detail no matter how small you think it is. Block out this time and do not let anyone interrupt you. The process of writing it out in great detail will help you open up the space within for internal changes needed to organize your consciousness around this great new life you dream of. 2. Visualize your great goal. You’ve got to see it in your mind’s eye and feel that it is real deep down inside. Make time each day to close your eyes and actually live within this dream. You’ve got to allow yourself to get so revved up that your body releases the same chemicals it would release if you were really experiencing this great life you dream of. 3. Take action. Start right now! Think of what you can do right now, this minute, to move you toward your dream. It can be as simple as searching the Internet for the solution or picking up the phone and calling someone you met whom you think could point you in the right direction. But whatever you do don’t want another day. 4. Commit to make your dream a reality by a specific date. Take out the calendar and circle this date. When you have the end in mind you can then plan out the steps you need to take each and every day to get there. You must know where you are going and when you will arrive in order to create what you dream of. You want to live your dream now not, “whenever” right? 5. Live from your vision. This is the most important step. Constantly focus on the YAY not the YUK. What’s the YUK? It’s worrying about how it’s all going to get done. Live and breath your vision every waking moment. Allow your vision to lift you up over the conditions of your life. When you are living from your vision you are living from possibility and have an expansive view of the landscape before you. From this high vantage point you don’t get stuck in small minded thinking that keeps most people reliving their same old lives day in and day out. Are you ready to focus on the YAY to feed your dream what it needs to bring it into reality? What’s your dream and what’s holding you back? Share with us in the comment section. Did you enjoy this article? Share it with a friend on Twitter, G+ or Facebook. P.S. Would you like to speak to me about your dream and what might be holding you back? Contact me for a life purpose session. Click here to email me.